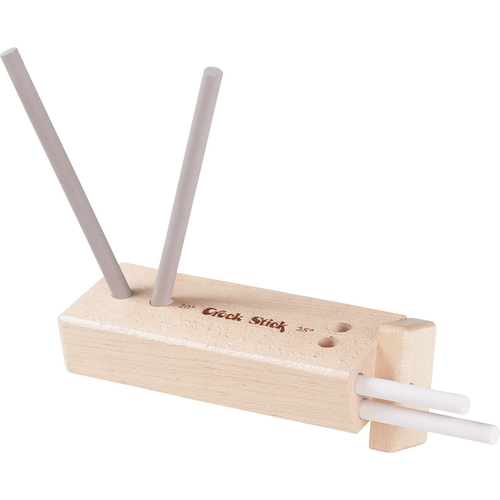 There are two pre-set knife sharpening angles in the wood block 20 degree and 25 degree. 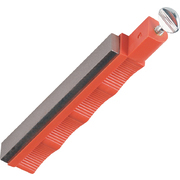 This 2-Stage Knife Sharpening System features a hardwood turnbox with internal rod storage in the base, and four 5" long alumina ceramic rods. 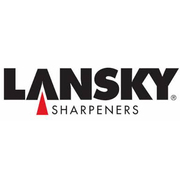 Lansky Sharpeners are the most recognized name in knife sharpening worldwide. In addition to their legendary Controlled-Angle Sharpener System they continue to develop new sharpening technologies and innovations for: hunting and outdoor sports, kitchen use, as well as the workshop. 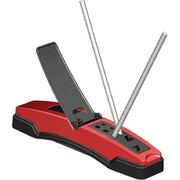 They are are known for their hunting knife sharpeners and precision sharpening kits. These are great for maintaining an edge, combined with stropping will get a razor edge. Can sharpen from dull, but takes a lot of time. The turnbox with diamond rods would be better for this. The 2 combined would be a good buy for those that struggle with a stone sharpener. This is fantastic out in the field. Sharpening at it's easiest. You're using the same motion as when you are cutting something. The rods are always at the right angle. 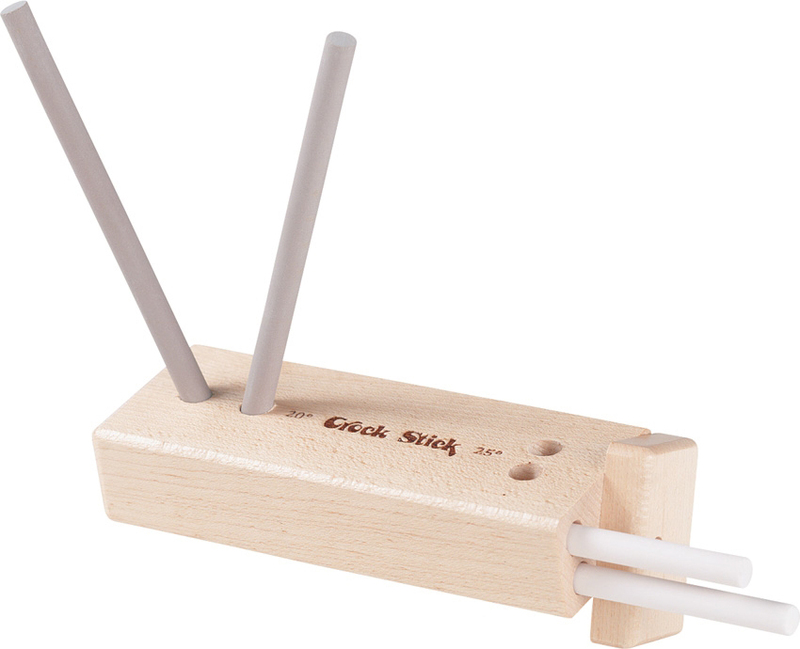 Solid box with onboard storage for the rods makes it compact and the rods are well protected. 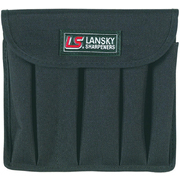 Designed for use with the Lansky Controlled Angle Sharpening System. 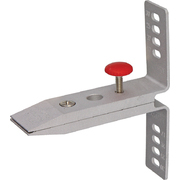 Replacement knife clamp with angled system and flip over feature. 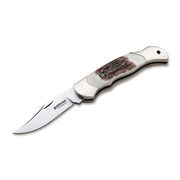 Includes a pair of both medium and fine ceramic rods for sharpening and a medium grit ceramic triangular rod which will sharpen serrations as well as awls and fish hooks. 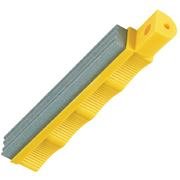 Designed for use with the Lansky Controlled Angle Sharpening System. 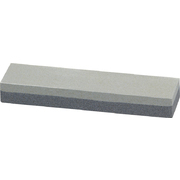 The extra coarse 70 grit diamond hone is designed specifically for repairing heavy duty damaged edges, reprofiling a knife's bevel and sharpening modern wear resistance steels. 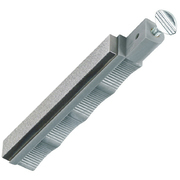 Designed for use with the Lansky Controlled Angle Sharpening System. Designed to hold a complete three-stone Lansky Sharpening System including multi-angle, flip-over knife clamp, guide rods and honing oil. The medium 280 grit diamond hone is perfect for maintaining and sharpening a slightly dull edge. 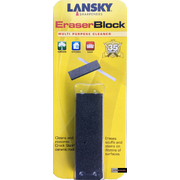 The Lansky Dual Grit Combo Stone offers the convenience of two grits in one stone and is great for sharpening.